A version of this blog appears in the May issue of The Business Monthly serving Anne Arundel and Howard counties. The announcement of the sale of the daily Capital newspaper and to the Baltimore Sun Media Group came in a text message to my Blackberry as Anne Arundel County Executive Laura Neuman was giving her budget address to the county council on Thursday. It is a sale that could have more effect on the politics of Anne Arundel County and the State House than the upcoming election. 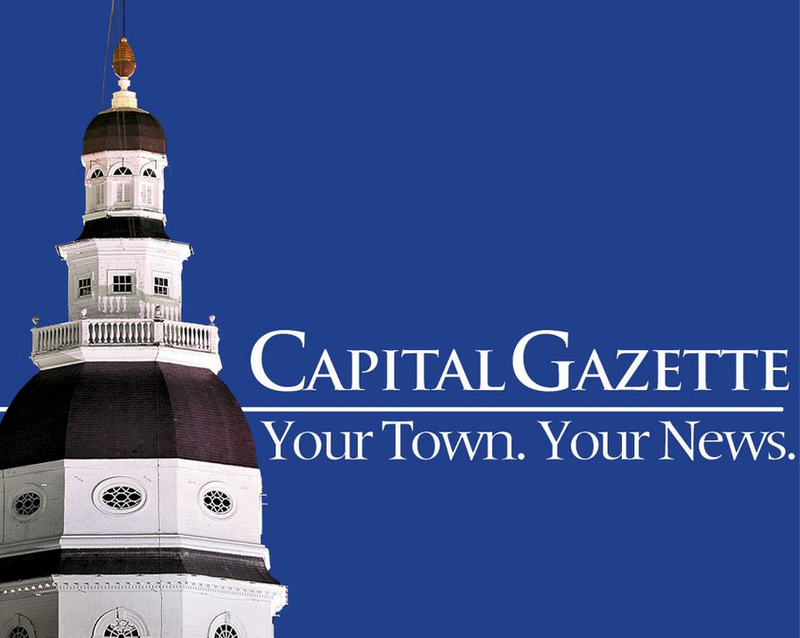 The Capital and its sibling publications, the Bowie Blade and the Maryland Gazette, along with the daily Carroll County Times, have been for sale since 2008. Longtime publisher Phil Merrill, for whom the College of Journalism at College Park is named, died in 2006. After that Landmark Media Enterprises, which already owned 49% of the paper, bought Merrill’s share. The Maryland Gazette, not to be confused with the newspaper chain in Montgomery and Prince George’s counties, is the oldest newspaper in Maryland, founded in 1727, and serves the north county. The Capital, still an afternoon daily, has a respectable circulation of about 29,000, with 35,000 on Sundays. With a solid base in the state capital, it is large enough to support a newsroom staff of reporters, editors and photographers. Of course, as with most print products these days, the size, staff and circulation are smaller than they once were. But the newspaper takes politics and government seriously — along with crime, community news and sports. Annapolis is not just a quaint old port town on the Chesapeake; it is both the state capital and the county seat for a jurisdiction with 550,000 people, and the home of the United States Naval Academy. The Capital’s purchase by the Sun hopefully does not represent a loss of its editorial independence, and its role as an independent voice and observer of the State House scene, with more conservative leanings than the Baltimore Sun or Washington Post. But the past is not encouraging. The Sun publisher was already talking about shared resources. What that has come to mean at the many local weeklies owned by the Sun is stories shared up to the daily paper and its website, and stories in the daily shared down to the weeklies. It’s the same news in different packages. Ditto the State House, where one Capital reporter covers the state and others drop in during the legislative session. The Sun had three full time reporters this session. When will some editor or publisher ask about the cost of duplication. As I constantly tell the donors to MarylandReporter.com, we need more eyes on the State House not less. Of course we don’t need three or five reporters covering the same event, which is what we often get on the hottest news. But with more reporters competing on the same beat, uncovered news is more likely to get covered. The Capital has maintained a distinctly local flavor and feel, along with an Annapolitan point of view that is neither Baltimore or Washington. It would be a shame to lose that.